I have two Samsung Victory phones with Android 4.1.2 installed. Neither has an update option anywhere in settings. How do I check for updates? I just got the S Victory today and am having the same problem. Does anyone have info on how to update the prl profile so i can use the premier service and do tethering? I signed up for the unlimited plan and premier so i should be able to do tethering according what i have read. On my Victory, in settings, 2nd from bottom is system update. Must scroll down a lot in settings to get down there. Inside system update are 4-5 items. Update prl, update profile, Samsung updates. Android updates, etc. @Rich Sias ( LastDay: 16th )‌ , you got the phone before they remove the update option. Victory phone now are order without the update option on. I think a restart of the phone does the update for you. So far freedompop has not address this issue. I think power off and power on does these updates, there no other option within the phone to do this. basic reset.... ##786#...but i think it requires a msl#??? 3) From the Boot menu navigate with the up/down volume rockers and select with the power button, select the "RECOVERY" option. 4) Next, select the "Wipe data/Factory reset" option and select yes on the following page. 5) Go through the phone set-up just as you did when you first received it. 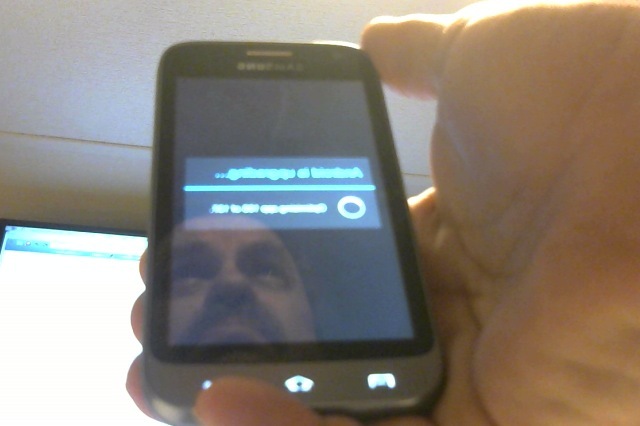 @Brian McPherson‌ do you know if the power on power off-works for all android phone on the plr/profile, or only the sgv? I turn my androids off every night? Just curious? Cannot say that to all android phone, what it do on restart on the Victory is it go into update to apps on the phone before it boot up. I post a photo of it when I get it done. Yea there are a ton of questions that pertains to the SGV...on this subject...and Sprint has it completely wrong....I think these are coming with a custom ROM from FB? Thanks for the info!!! Sorry it not that clear image. I do to, it from the custom rom and the admin on the forum does not know about it. please only do a MSL reset, if an admin ask you to...Consult a admin before any MSL Reset!!! !I miss informed you and I'm sorry bout that!! !